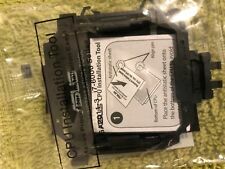 Genuine Asus All In One ET2321I CPU Fan & Heatsink P/N 13PA-1TB0201 Tested!!! For ASUS G74 G74S G74SX. It can be used interchangeably. Photo is for reference only. Hope you understand. This is our SOP, for us to be certain and for record purposes. 1 x CPU Fan. Thermal Paste. For Asus S400 S500 S500C S500CA V500C X502 X502C. 1x CPU Cooling Fan for ASUS. This is our SOP, for us to be certain and for record purposes. CG1330 CM1435 CM1525 CM1530 CM1630 CM1730 CM1735 CM1740 CM1745 CM1831 CM1855. ALSO LIST OF ASUS PRODUCTS COMPATIBLE WITH THIS FAN. Asus RM IMISR-VM motherboard CPU Cooler. 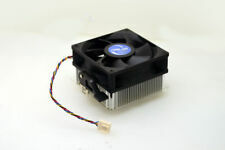 Heatsink & 65mm fan for Socket M,P. 3-pin connector. This was in my old Asus ROG G20-AJ before modifications were made. It is still in very good working condition and I would just like to get rid of it. 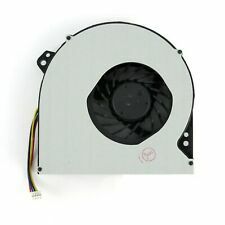 New CPU Cooling fan for Asus K501UX K501LX A501L V505L K501LB5200 K501L series. Compatible with: Asus A501L K501L K501LB K501LX-EB71 K501UX V505L series. A501L Series K501L Series K501LB Series. K501LB5200 K501LX Series K501LX-EB71. Asus G751 G751J G751JM G751JT G751JY series Cooling Fans. Compatible with: Asus G751 G751J G751JM G751JT G751JY series. G751 Series G751J Series G751JM Series. G751JM-BHI7T25 G751JM-DH71 G751JT Series. 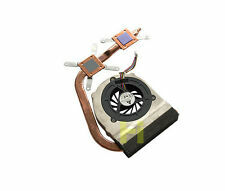 ASUS ZENBOOK UX330U FAN & HEATSINK 13NBOCW0P01011 13NB0CW0AM0101 13N1-34M0101 GENUINE. You may not get exactly what is pictured, FOR EXAMPLE: Hard Drive Dates will vary but Model # will not. Order 24/7. CPU Fan for an Asus X551M Pulled from a working X551M, may work in other models. p/n 13NB0331P11111. Includes mounting screws. System Pull. Condition :System Pull. Although we do the best we can to verify compatibility,ALWAYS double check that you are purchasing the right part foryour machine. ASUS R9 290X - DC20C - 4GD5. ASUS R9 290 - DC20C - 4GD5. ASUS ROG Striker GeForce GTX760 4GB. 1 x CPU Fan. 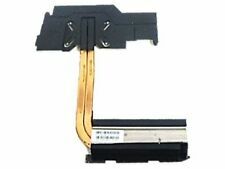 OEM Charging Port Flex Cable For HTC Incredible 2 ADR6350, Incredible S PG32130. This is our SOP, for us to be certain and for record purposes. Trending at $12.70eBay determines this price through a machine learned model of the product's sale prices within the last 90 days. 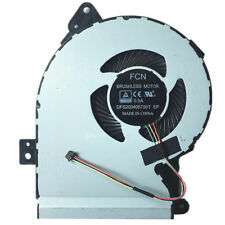 DFS531205PC0T is the motor part number of the fan. Dalbani is a national and international distributor of high quality electronic components and parts. Serving the Electronic Industry Since 1982. All credit cards are processed with Authorize.net. Genuine OEM Asus U6S 08G2026US20R Intel CPU Motherboard --- Payment: · We accept DEBIT, CREDIT, & PAYPAL ---Shipping: · Free shipping · We ship it out 1-2 days after your payment have been completed ---Return Policy: · Please contact us for return items · 30 days warranty · Exchange on certain items ---A15K03 Store: · If you have any problems, don’t hesitate to contact us. We will reply to you within 24 hours. · We maintain a high standard of excellence & strive for 100% customer satisfaction. PLEASE contact us before giving your feedback! This way we can satisfy your concern~! Loc :DE 82 · T H A N K Y O U ! [View more great items] (https://www.ebay.com/sch/quality.parts93/m.html). We honor our Inspection period and Warranty policy. We are unable to file any claims after this date. Why Buy From Us?. 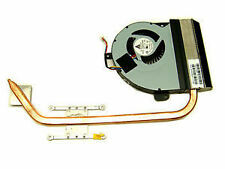 Asus Desktop Cooling Fan & Heatsink- 13G075135060H2. AMD Sempron 1.8 CPU included. Orders are normally processed promptly within 24-48 hours. Good Part Sub Numbers: Refurbished. Picture is for reference only. You may not get exactly what is pictured. 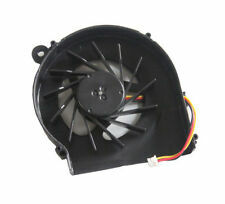 DFS531005PL0T is the motor part number of the fan. Dalbani is a national and international distributor of high quality electronic components and parts. Serving the Electronic Industry Since 1982. All credit cards are processed with Authorize.net. Fan bracket designed for easy installation and flexibility in fan positioning to accommodate top-mounted water cooling radiators. Good Part Sub Numbers: Refurbished. Picture is for reference only. You may not get exactly what is pictured. Product has been tested and pulled from working systems. Specification Condition: 100% Brand New! Genuine Original Product, guaranteed to be fully functional Quality: 100% Replacement and High Quality, Each Product Is tested before shipping and are 100% working Warrantty: 180 days Feature: Model:T129215SM Fan Dimension: 95mm*95mm*15mm Holes spacing: 28mm*28mm*28mm*28mm Current: 0. Genuine OEM ASUS D1T 60-N7FMB1000-A08 Motherboard --- Payment: · We accept DEBIT, CREDIT, & PAYPAL ---Shipping: · Free shipping · We ship it out 1-2 days after your payment have been completed ---Return Policy: · Please contact us for return items · 30 days warranty · Exchange on certain items ---A15K03 Store: · If you have any problems, don’t hesitate to contact us. We will reply to you within 24 hours. · We maintain a high standard of excellence & strive for 100% customer satisfaction. PLEASE contact us before giving your feedback! This way we can satisfy your concern~! Loc :DE 132 · T H A N K Y O U ! [View more great items] (https://www.ebay.com/sch/quality.parts93/m.html). Item has been tested and is in good working condition. Pulled from a working unit. Genuine Asus G20CB-B21 CPU Heatsink 13PD0131AM0101.